You will have outstanding protection while wearing the 5340 glove! 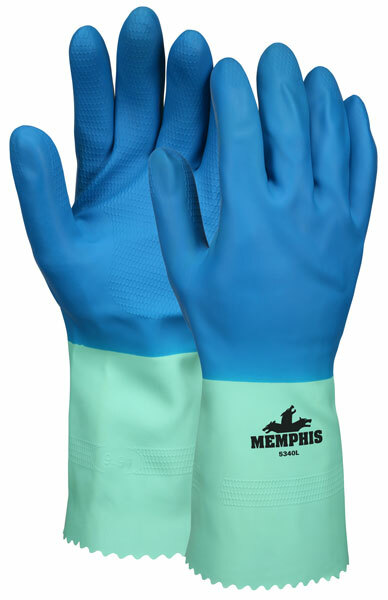 This glove combines the puncture and chemical resistance of nitrile found as the outer blue layer with the performance and flexibility of the green latex of the inner layer. Flock lined for comfort, this glove has a combined thickness of 28 mils. The raised honeycomb grip further aids in securing your grip and the 12" scalloped cuff offers additional protection.